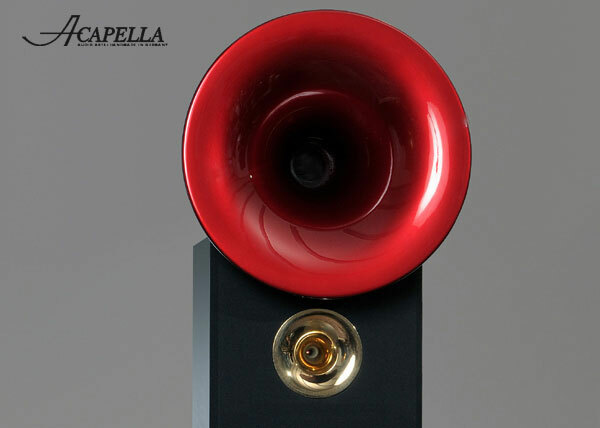 The Acapella High Violoncello II is a new development of Acapella. By the increased volume of playback, to further substantial gains in the low frequency contour. The cabinet has become even more massive than the High Violon, with a total weight of 308 lbs per speaker. 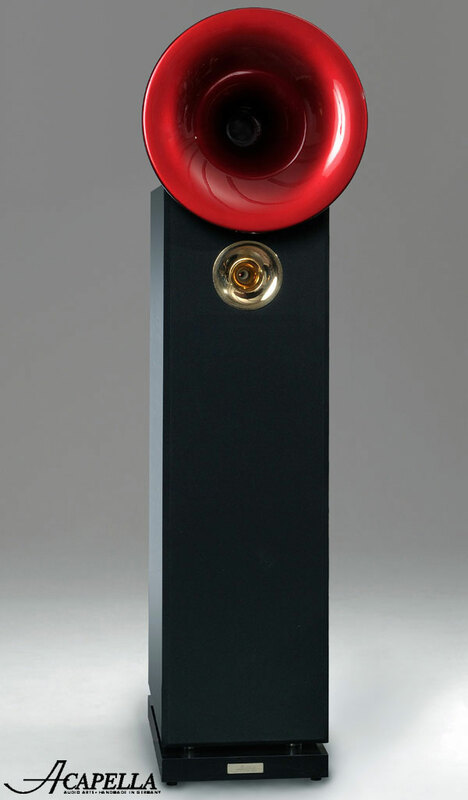 Unlike ordinary speakers that boast of silk or metal composite, the High Violoncello II has a mass-less ion tweeter. The ion tweeter uses a high-voltage pulsating arc that is modulated by the musical signal to create sound. Acapella claims the upper limits of this tweeter is 40 kHz. This extraordinary bandwidth is providing an extremely precise reproduction of any kind of music. Even in the lowest frequencies you can feel exact modulation of the overtones. Fine adjustments to the ion tweeter and the midrange horn unit can be made in order to adapt the loudspeaker to every acoustical environment. Acapella High Violoncello II is priced at $80,500 per pair.